Amazon Alexa gets multi-room update | What Hi-Fi? 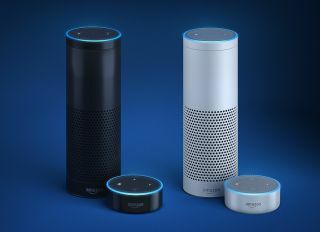 Owners of two or more Amazon Echo or Echo Dot speakers can use the Alexa App to create (and name) groups, enabling music playback control across the devices with a simple command. For example, an Echo and a Dot could be grouped together as 'bedroom'. First person to ask Alexa to play Herman's Hermits' Upstairs, Downstairs while upstairs, wins! In related news, Amazon's 'Flash Briefing' skill, which helps you start your day with the latest news and headlines, can now keep you updated on music news, new releases, events and trivia related to your favourite artists, as well Prime- and Unlimited-related features - all curated by Amazon Music "experts". All users have to do is enable the 'Today In Music' feature on their Alexa-powered device.